Salt cultivation in the marshes of Ile de Ré has a very long history, with the first traces dating back to the 12th century. The marshes were reclaimed from the sea using a containment system which traps alluvial and mud deposits. The company ‘Esprit du Sel’ was created in 1994. Its primary commitment is to maintain and preserve the exceptional natural environment of Ile de Ré’s salt marshes. 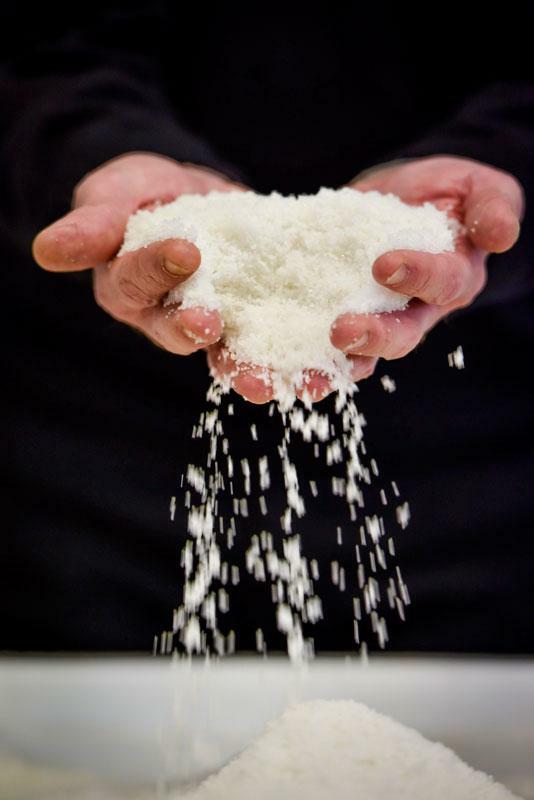 Esprit du Sel gives cultural and economic recognition to products from the traditional salt marshes: Ile de Ré grey sea salt and fleur de sel. Esprit du Sel produces and markets a variety of original high-quality ‘marine’ products focusing on the central theme of salt marshes and the sea. The products demand respect for an ancient tradition, forged by artisanal expertise and in line with environmental concerns. The salt is harvested using a natural process of water circulation and evaporation in the salt marshes. The combination of wind and sun enables sea water to evaporate. The sea salt is therefore only harvested in shallow areas where the water reaches a salt content of 260 grams per litre. In addition to this unique process, Esprit du Sel has set itself ambitious targets by offering its customers a range of 100% organic spiced fleur de sel and sea salt items made from typical Ile de Ré products.